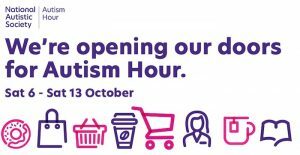 FOLLOWING on from the hugely successful launch in 2017, shops and businesses at intu Lakeside will once again support the National Autistic Society’s Autism Hour week. intu Lakeside is one of 14 intu shopping centres up and down the country working with the charity on the week-long event (starting on 6 October) providing autistic people with a break from the usual overload of ‘too much information’. Every retailer, restaurant and leisure operator is being asked to observe ‘quiet hours’ by dimming their lights, turning down music and other background noise for an hour at 10am each day. Staff at intu Lakeside already receive training to provide autism-aware customer service and customer guides are available to help autistic customers and their families plan a visit to the centre. intu Lakeside will be hosting a ‘quiet hour’ on Monday 8 October, 4pm – 5pm. With National Autistic Society Thurrock in centre on Tuesday 9 October, 10am – 2pm who will be giving customers the chance to try a virtual reality experience created by the National Autistic Society showing what an autistic person can experience in a shopping centre. Howard Oldstein, regional centre director at intu Lakeside said: “We will be asking every shop, restaurant and leisure attraction in our centre to dim their lights and reduce their music for an hour and to raise awareness of autism among their staff and customers. 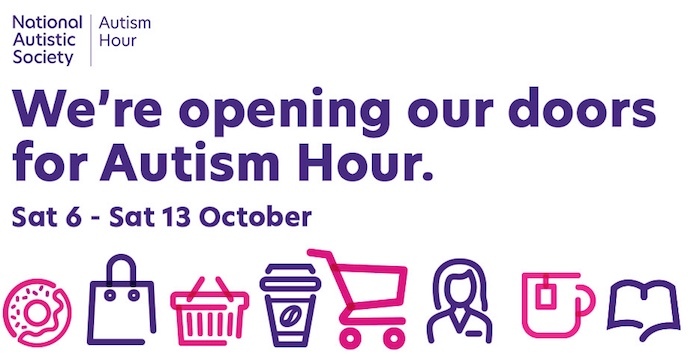 We hope that by supporting the National Autistic Society’s Autism Hour at intu Lakeside we will be able to encourage many more businesses to take these simple steps and make life easier for the estimated 700,000 autistic people in the UK and their families.